It gives us great pleasure to share that JBCN International School, Parel has been awarded “One of the Best schools of India” at the Brainfeed School Excellence Awards 2018-19. The school was chosen in the category of Best International School, Life Skill Education, Co- Curricular Activities, Techno Smart School of the Year for attaining excellence in growth and enhancement of school Education prioritizing the 21st Century demands of future leaders. 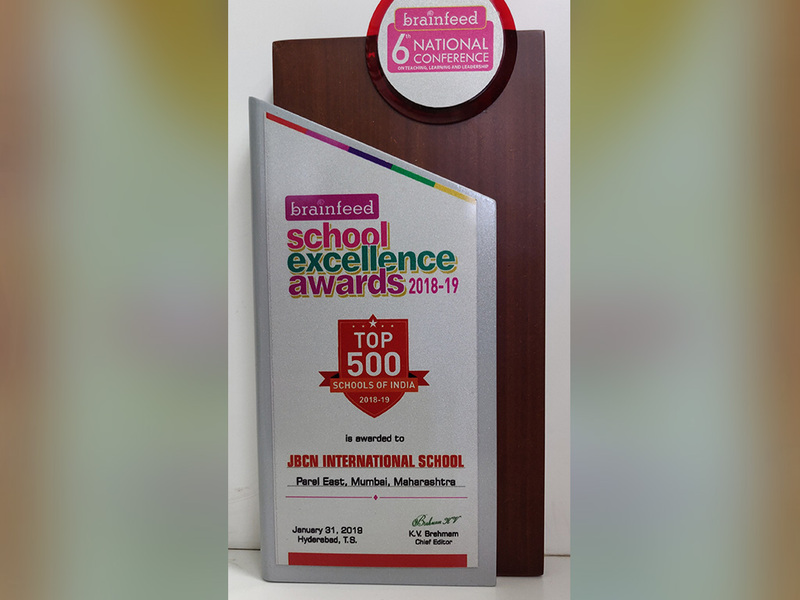 We are very proud of this achievement and would like to thank our learners, parents and staff for helping us accomplish this feat. 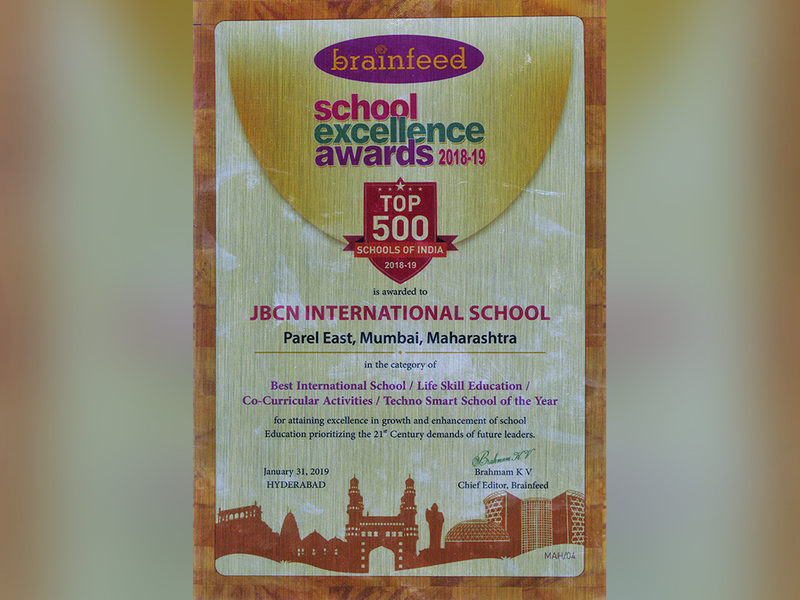 The awards ceremony was held on 31st January 2019 at the 6th National Conference organized by Brainfeed at Hotel Avasa, Hyderabad.